While browsing through my old raw photographs, I stumbled upon an unnoticed hint of the flame nebula. I take these photographs to check if I’ve got everything on frame as I want it to. At the time, I must have been looking with something else than my eyes, because the flame nebula was right there! So when I had the chance, I aimed my telescope towards the same region. Focusing took a long time as the air was quite turbulent at the moment and venting chimneys also seemed to complicate things. When I was somewhat satisfied, I took about 20 30second frames. After stacking and post processing, I obtained the following image which shows both the Flame Nebula and a hint of the Horsehead Nebula. 20×30 second rgb stack. Although the skies were clear, seeing was poor due to smoking chimneys and atmospheric turbulence. The Horsehead Nebula is actually a black gas cloud. 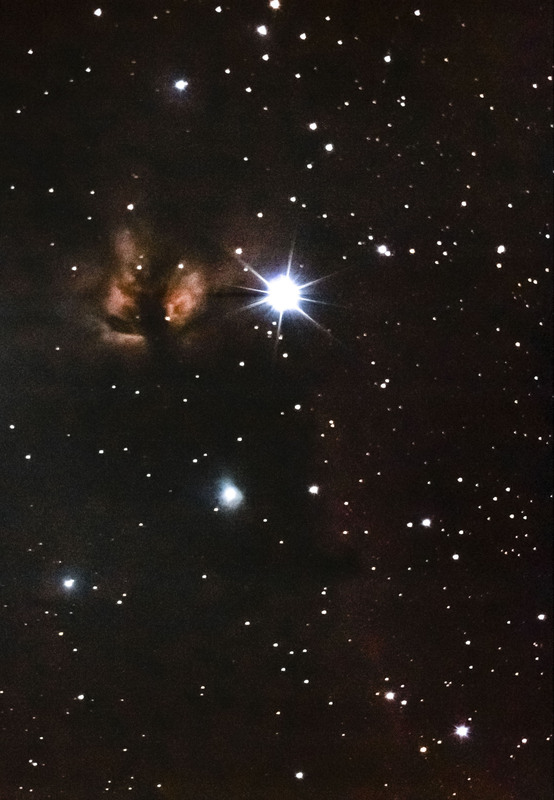 It is shaped like a horse’s head and obstructs light coming from the red nebula in the background. The shape of a horse’s head is not visible in this photo, but you can see a black filament hanging over the red region. Black nebulae are actually very common and often play a major role in the appearance of more colorful nebulae. Take the yellow Flame Nebula for example. Is mainly just a yellow/orangy gas cloud, but it gets its flame-like appearance from the black nebulae in front of it. After nebulae, galaxies are probably the coolest targets to photograph. 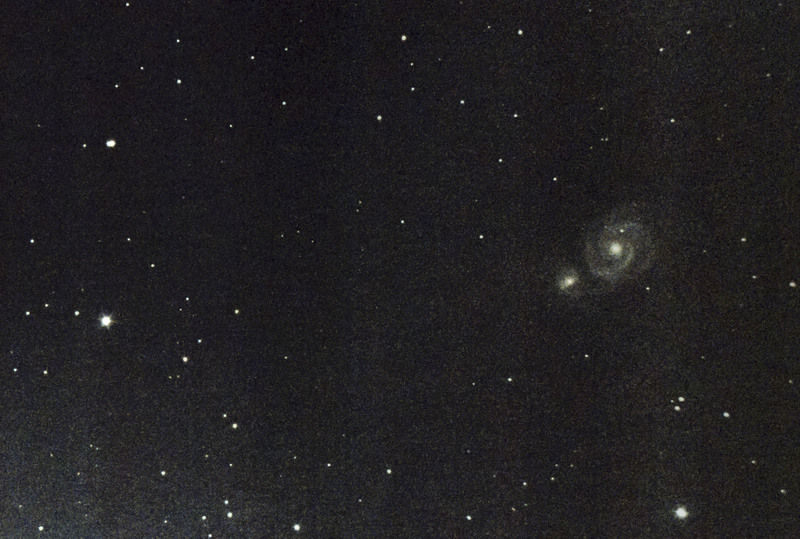 I have given the galaxies denoted by M51 and M101 a try a while ago, when I was shooting 0.8 second frames. Now that I can take 30 second images without trailing, I decided to give the Whirlpool Galaxy (M51) another go. I shot just 10 frames. Which is not a lot, considering that M51 was very low near the horizon with a very turbulent atmosphere. But as I could just barely make out the galaxy in a single frame, I wanted to see what I could image rather than produce the highest quality image. The result is a quite noisy image, because I had to really crank contrast up to the max. Soon I will shoot more frames of M51, when it is higher in the sky and I can use my light pollution filter again. M51; the Whirlpool Galaxy interacting with its dwarf companion NGC 5195. M51 was very low at the horizon at the time of shooting. Besides it actually being very chilly (it was freezing), the evening of January the 21st got most of its coolness from the awesome astrophotos it allowed me to take. Starting with the first time I saw Venus. Venus is always closely to the Sun in our sky so it’s only visible on clear evenings or very early mornings, depending on the season. 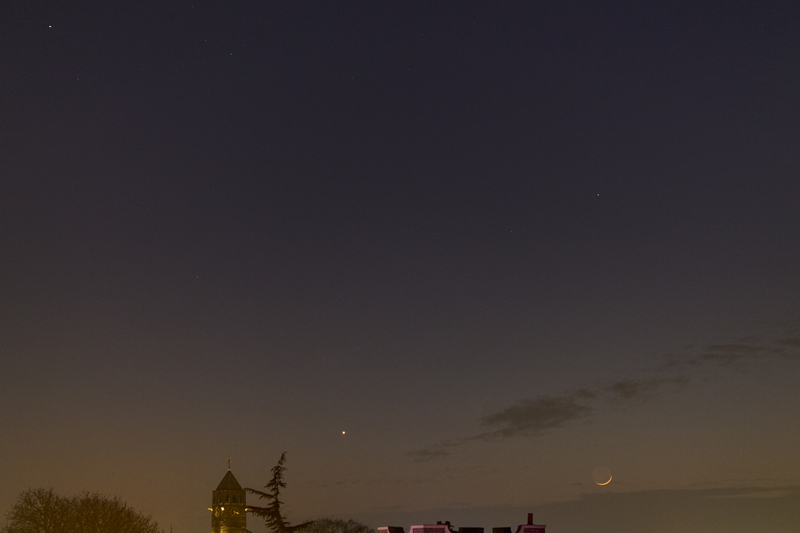 The photo I took of Venus turned out really cool as it also shows a beautiful moon and Mars just in the top left. 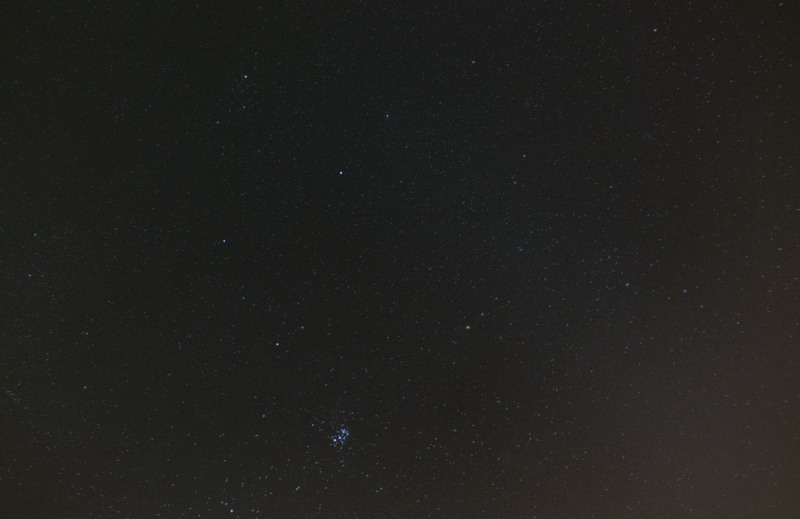 A little later, around 7.30, I used my camera to take another wide field photo of comet Lovejoy near the Pleiades. As clouds were coming close quickly, I decided to save time by using only a telescope and camera with build-in display. Despite a very fast mount alignment, the tracking system worked really well and I could take exposures of ~25 seconds without trailing. 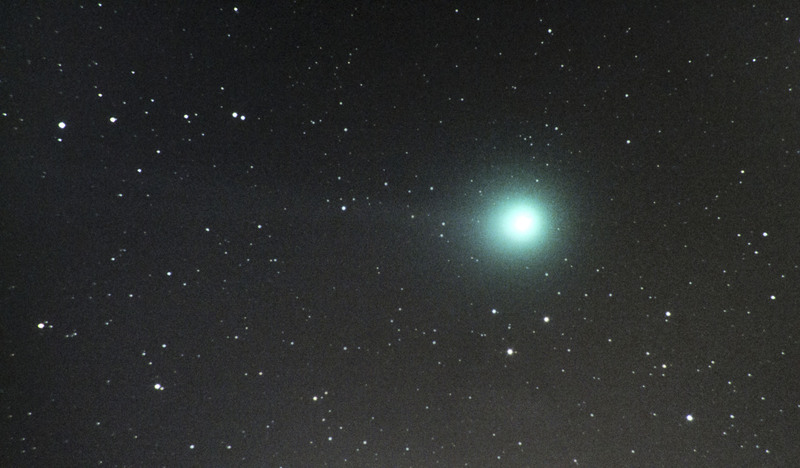 A close-up of comet Lovejoy with a telescope shows a more pronounced tail. 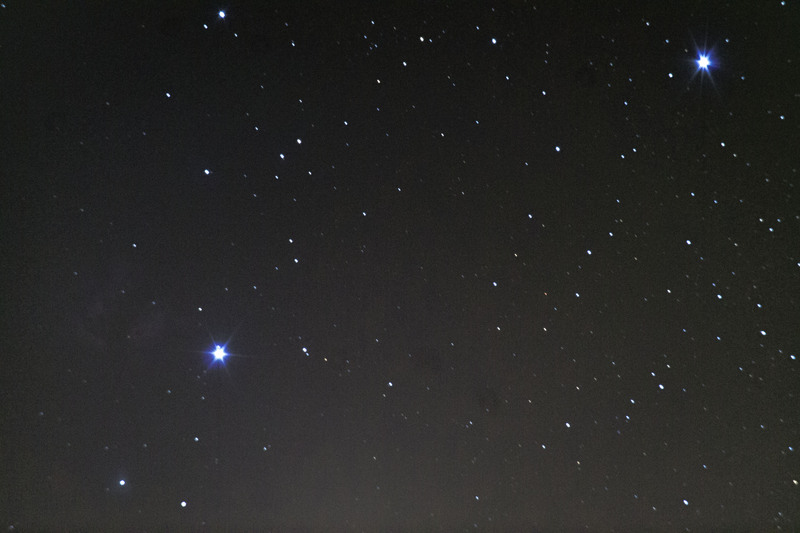 This image is a stack of 4 25 second frames at ISO6400. 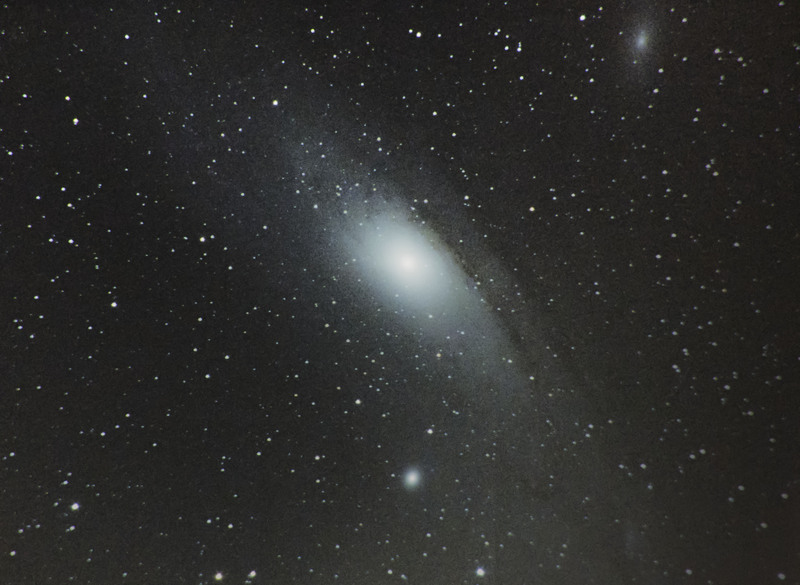 Now that I know that I can capture quite some detail of Andromeda with moderate seeing conditions, I am really curious to see what I can achieve with good skies and more time to setup the telescope and take dark, flat and bias frames.